MacDailyNews Take: A good review with a solid 8.0 out of 10 score and a four out of five star rating from CNET -and that’s before multi-room and stereo paring even arrive*! *Despite six years of development, inexplicably. NYT says wait. Gives it an incomplete. but, shouldn’t it? 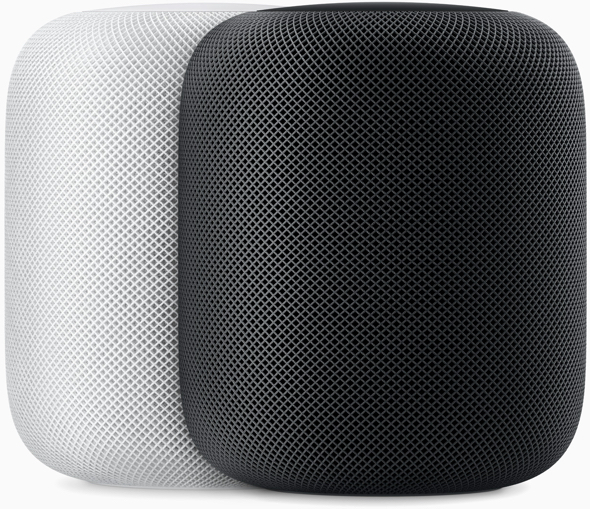 Except for the Google device, which appears/sounds like a real clunker, for the $$ and so-so functionality, the HomePod should sound better, imo. Very glad to read this reviewer describe set-up as fast and Siri’s mike with strong sensitivity range. Beef up Siri’s ability to think with her hearing and add that to the notable skill set. I’m all for great sound and I’m intrigued with what features are yet to come, but do we really need another great system on the over-priced end? Yeah, Home Pod sounds good after six years of design. Apparently that’s all it does well. Reply to We need smaller stereos!